Depression may feel like one of the loneliest conditions on the planet, but it’s also one of the most prevalent, affecting more than 16 million people in the United States alone. 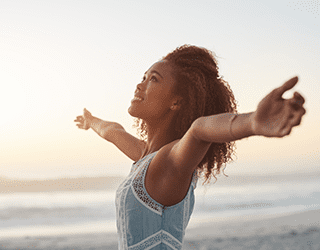 Of those 16 million, 30% are considered “treatment resistant.” If you struggle with treatment-resistant depression, there’s new hope in the form of ketamine infusions, available at Klarity Clinic. Under the direction of anesthesiologists Henry Liang DO, and Christian Munk DO, ketamine is giving patients in Las Vegas, Denver, and Fairfield a new lease on life. To learn more about ketamine therapy for depression, call to book an appointment. If you have symptoms of depression every day for more than two weeks, and they have a significant impact on your ability to function normally. This is classified as a major depression. If you suffer from symptoms of depression, which may come and go, for more than two years, you likely have a persistent depressive disorder. There are other forms of depression, such as postpartum depression or seasonal affective disorder, but the two listed above are the most common forms of the condition. This last symptom is one that’s worth underscoring. Suicidal ideation is when you think about, or even plan, ending your own life. Thoughts of suicide should be taken very seriously and you should seek medical counsel right away. How does ketamine help depression? Many of our patients have tried traditional or even invasive treatments for depression with little improvement in their symptoms. These prior treatments may include a variety of medications and psychotherapy. Some have tried costly transcranial magnet stimulation (TMS) or memory erasing electroconvulsive therapy (ECT). Ketamine infusion therapy offers new hope for patients who have failed or had limited improvement with other treatment avenues. Under the careful monitoring of Drs. Liang and Munk, you will receive a series of six intravenous low dose ketamine infusions over a two week period. We have found that this treatment plan, and use of our unique dosing protocols results in a success rate of more than 85% among those who suffer from treatment-resistant depression. Depending on your situation, the doctors may also add a NAD+ (nicotinamide adenine dinucleotide) therapy to enhance the results of the ketamine, restore your energy, and regulate your stress response. If you’d like to find out more about treating depression with ketamine, call Klarity Clinic to request a consultation. If you have been diagnosed with treatment-resistant depression, you may be a candidate for ketamine infusion treatment. This includes major depressive disorders, PTSD, post-partum depression, and bipolar disorder. If you have not responded to traditional medications, electroconvulsive therapy (ECT) or other forms of treatment, ketamine infusions may be considered as a next step. It is possible to undergo ketamine infusion therapy and have no beneficial effect although those patients are in the minority. Ketamine is not for those with mild depression, situational depression, or mood swings. Klarity Clinic reserves the right to refuse treatment based upon our assessment of your individual situation and conditions in order to provide our patients with the highest chances of success.